This page is all about installing the Drive-by-wire (DBW) gas pedal. Drive-by-wire is a computer controlled throttle, no cable, Drive-by-cable (DBC). Pretty much all vehicles now are DBW. Manufacturers can control the amount of torque that is sent to the drive train, avoiding much abuse, and cruise control is now controlled by the PCM, not a separate computer. Yes I could have swapped in a cable operated throttle body, but I already have a throttle body, both are 75mm and both 3 bolt. 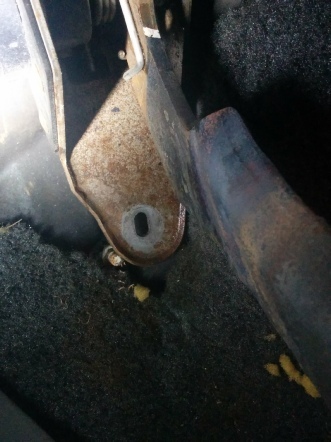 The DBW LQ4 throttle body bolts right up to the LS1 intake. And, I would need to locate a PCM that can be programmed to control the idle and incorporate a Throttle Position Sensor (TPS). Plus I would need to rewire the harness. Side by side, I wasn’t sure I could get the bigger pedal assembly up under the dash, but it does fit. I planned to cut down the stock pedal and use the bracket to mount to the firewall as an adapter. The DBW pedal would bolt to the adapter. 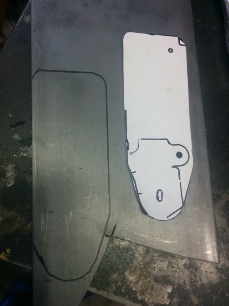 I traced the template onto a piece of 1/8th inch steel stock and cut it out. After holding the DBW pedal up to where I thought it should be, I envisioned where the DBW would be located in relation to the original pedal assembly mounting below it. I traced each mount and placed the DBW over top. 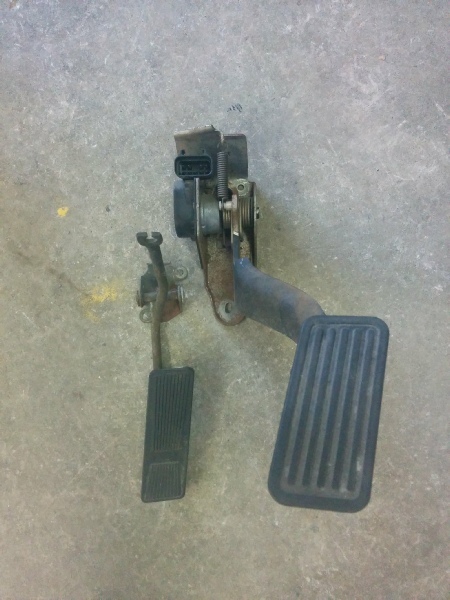 To the left is the stock XJ gas pedal. 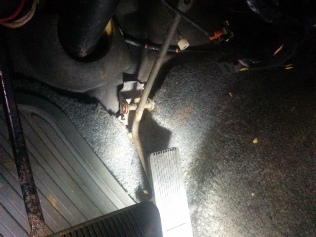 I started by noting the gas pedal’s position and planned on getting the DBW pedal in about the same position. 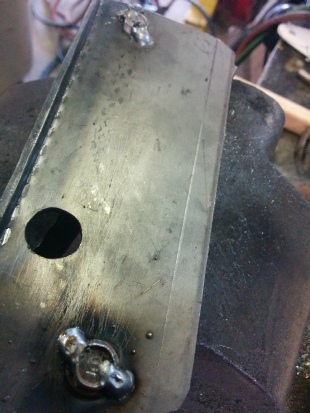 2 holes need to be drilled for the mounting of the DBW assembly, and an access hole for the nut and socket. 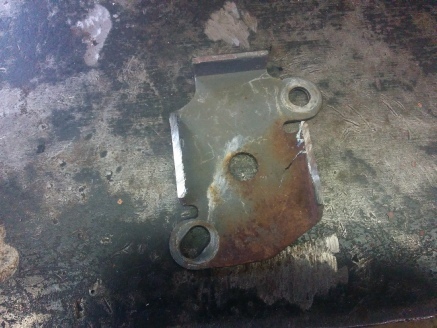 I decided to leave a bit of material off to the side that I would later fold over for stiffening the plate. 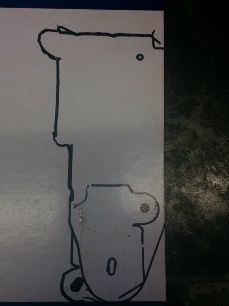 I cut the original bracket alone each side, to the same height as the tab on the lower part of the image. 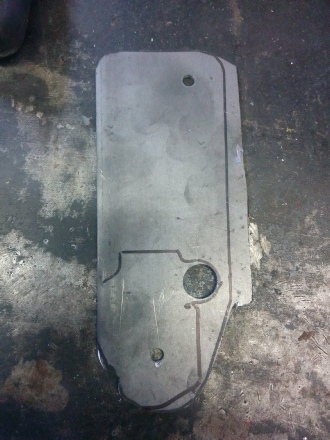 This would be the support for the top plate that the DBW assembly would bolt to. 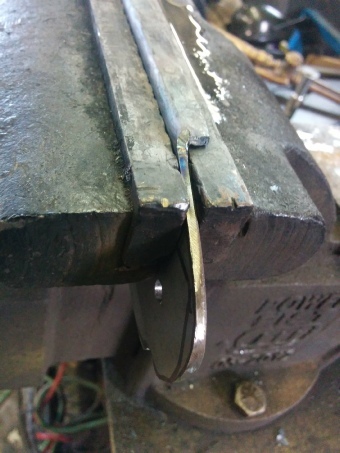 I clamped the plate in a vise and heated the edge and hammered it to fold it over. 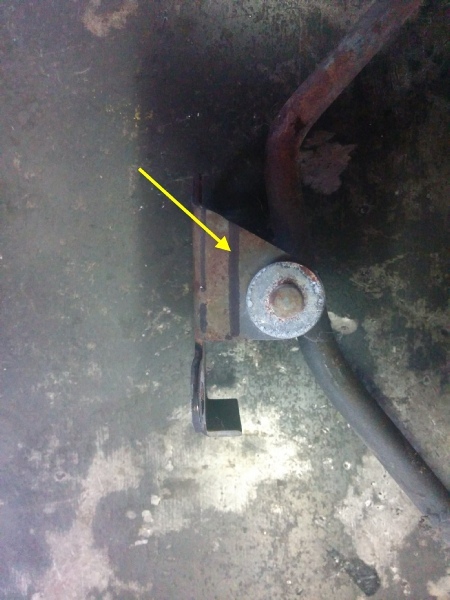 I welded 2 6mm bolts in place to mount the DBW assembly. Eyeballing the new pedal position.